Heartless vandals have destroyed a much-loved gnome village at a popular visitor attraction in Sutton Coldfield in the West Midlands. More than 40 gnomes were smashed, signs bent and the head of a static crocodile broken off as crooks went on the rampage at Echills Wood Railway in Kingsbury Water Park. 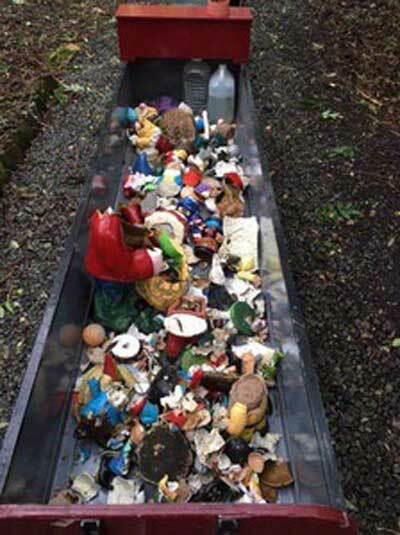 The gnome "massacre" was discovered by shocked staff at the railway attraction on Saturday morning. 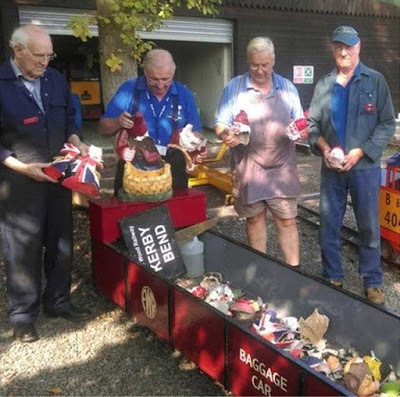 Jeff Stevens, general secretary for the railway, said: "It has taken us years to build our gnome village which gives the children and families lots of pleasure as they travel on the trains. "We had nearly 100 gnomes of all sizes donated by children, the public and our members. It started as a little joke to home a few unwanted gnomes but as the collection grew the kids and families really loved it so we actively encouraged its growth. Sadly, it will take us a while to build the village up again, but we will." 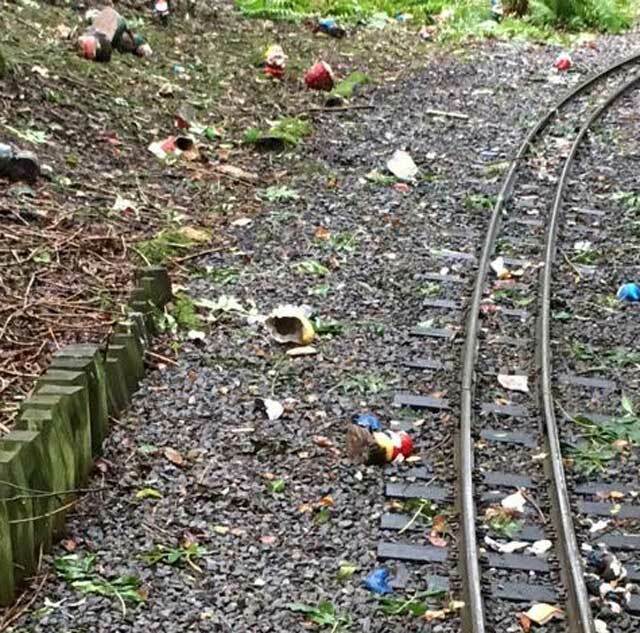 Members of the railway discovered the devastation during a routine track inspection. Trackside signs had been attacked, track interfered with and the lone croc at Crocodile Creek had had his head broken. 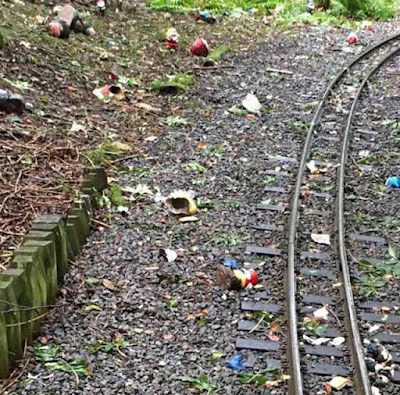 One of the park team commented "It looks like a gnome massacre, it's such a shame people have to act like this and take away something that gives so much pleasure." Anyone with any information is urged to call Warwickshire Police.